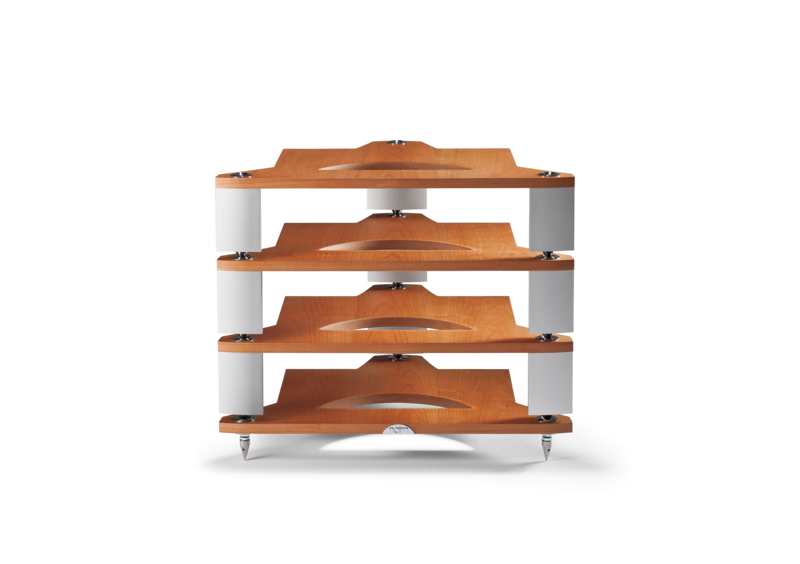 For entry-level Naim Audio systems, our FraimLite features the same tripod-style configuration, carefully optimised shelf spacing and high-quality material construction of our reference-quality Fraim. It retains the cup-and-cone interface system used by its bigger brother too, but omits the dual layer base and ball-bearing decoupled glass shelf. Reference Fraim levels can be incorporated into the same system as FraimLite so that you can upgrade to our top of the range equipment support on a level-by-level basis. 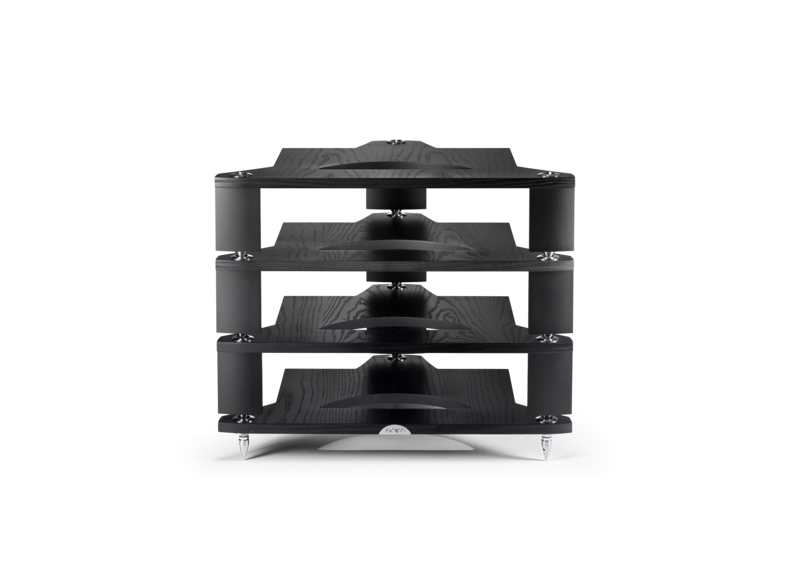 FraimLite takes the core Fraim concepts and components and strips them back to the fundamentals to create entry-level engineered support for less ambitious Naim Audio systems or lower budgets. Stripping back to the fundamentals however implies no lack of performance or aesthetic quality. The philosophy of the entire Fraim concept is based on engineering integrity, and that philosophy is fully expressed in FraimLite. Rather than two-stage base level isolation, FraimLite incorporates just a single set of three cone and cup minimal contact interfaces. Each FraimLite shelving level then forgoes the Fraim’s glass sub-shelf to support equipment directly on veneered composite panels.